On the 12th of February, I visited Summerday Valley along with Tammy Schoo, Kyle Hewitt and other PV staff to look at a new alignment for the track into the Valley. Although this is not as yet a confirmed new realignment, there is a strong possibility that the track will now enter in a little further down the carpark track where it will then head up onto rock platforms. The track will continue as a loop around the valley ampitheatre completely along with one track crossing it for quicker access to the busier areas ie from Wall of Fools to Back Wall. The rest of the area will be revegetated. This is a much better long term arrangement for Summerday. With very loose sandy soil, the many tracks criss crossing were starting to eat quite heavily into the vegetated areas. 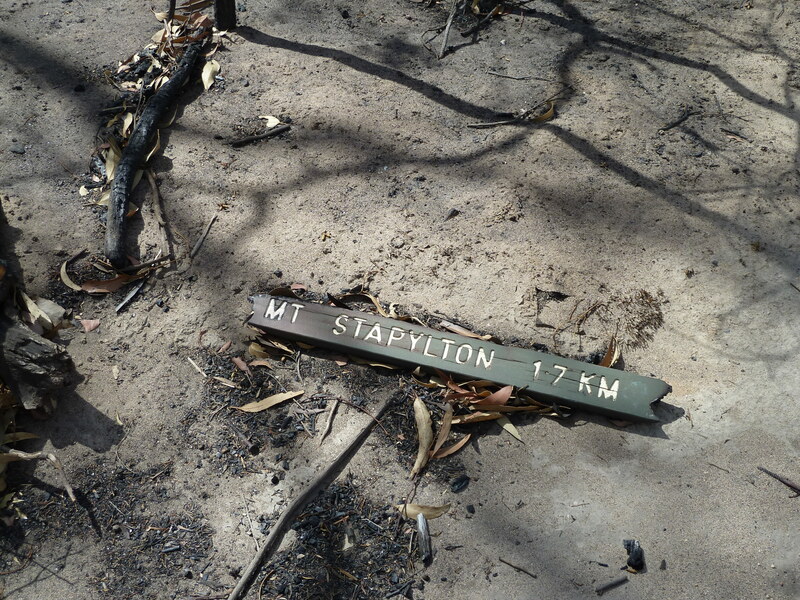 With regards to Stapylton area and Taipan, the area coming down off Flat Rock has been blasted fire wise. There is no ground cover and for the most part just blackened spikes that used to be trees. 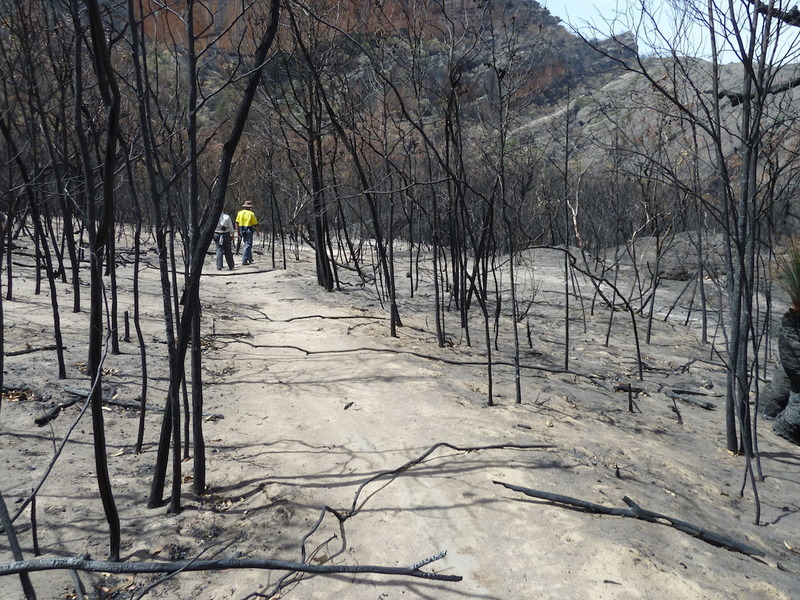 Further in towards the cliff line though, the fire has burnt patchily and there is some vegetation which means more than likely that this area is a candidate for earlier opening compared to something like Summerday Valley. The main walking track area though will need some repair work from PV. The climbers access tracks will also require some work, realigning and marking and this will be done by CliffCare and the climbing community in conjunction with PV. In the last issue of Argus, it was announced that the Emu Foot Track (Janangin jawi)) would now be a Management Vehicle Track only. Cliffs in this area such as Eureka Wall and the more distant Weirs Creek are now open for climbing but would only be accessible by foot. This makes it quite a decent hike in to access the climbing. Following feedback from the climbing community and discussions, PV are now reassessing the situation to come to a better outcome. This may mean there will still be some restrictions when it comes to vehicle access but hopefully a little more understanding of the importance of this climbing area to the community and better access. As always, please observe all the current closures and restrictions. We are working with PV to help with any reopenings and getting the information out there. 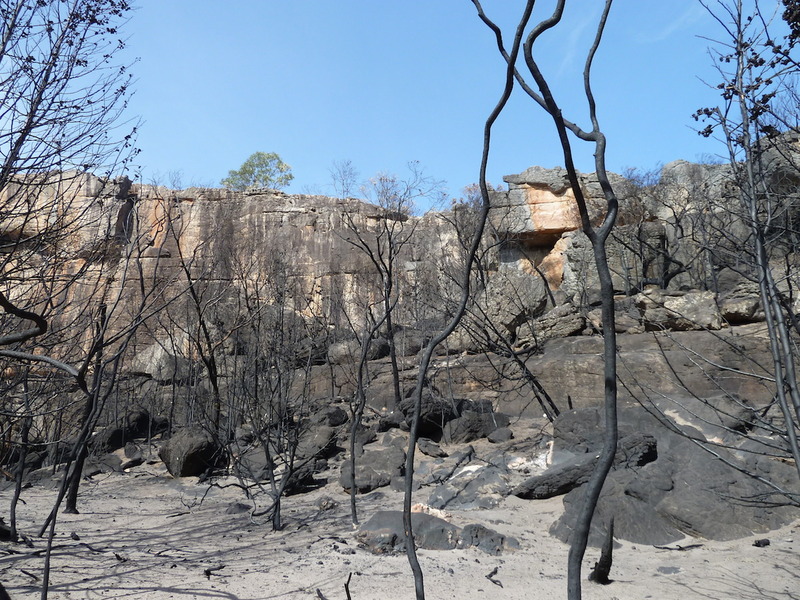 People need to make it their responsibility to chase up info on climbing areas and access, especially after any natural event such as fires and floods. Also don’t rely on the fact that you think there should be a closed sign on every road or access point. Reality is, this isn’t always possible as well as the added fact that signs are often stolen. Check on CliffCare, social media, Vertical Life,climbing forums and PV sites. 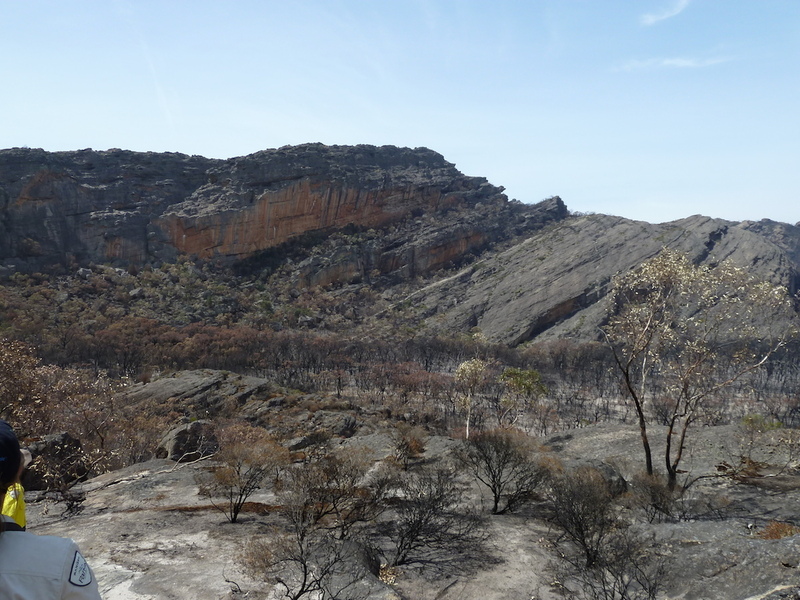 This entry was posted in Access &Environment officer reports, Grampians and tagged Bushfires, cliffcare, closures, grampians, hollow mountain, Northern Grampians, parks victoria, reopenings, victoria range by Tracey. Bookmark the permalink.